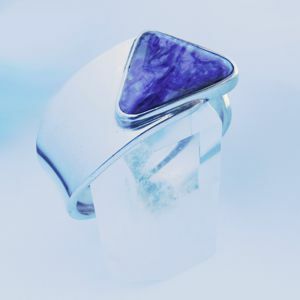 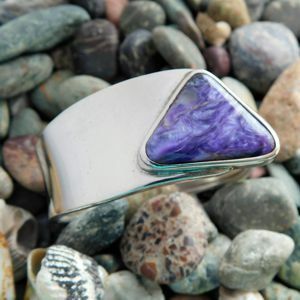 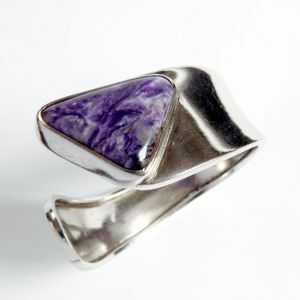 I handcrafted this Charoite bangle while inspired by trillion-shaped gemstones. 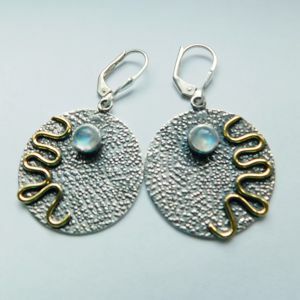 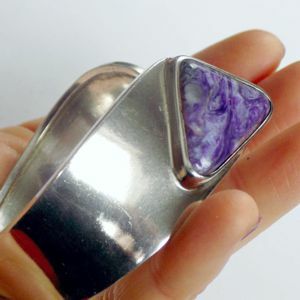 I followed the natural swirls in the purple beauty and gave the piece a wavy and smooth look. 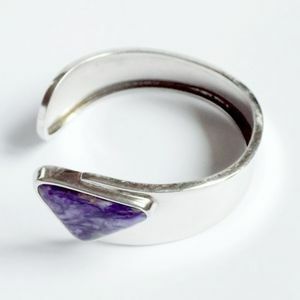 The bangle is 160 mm long and 25 mm wide. 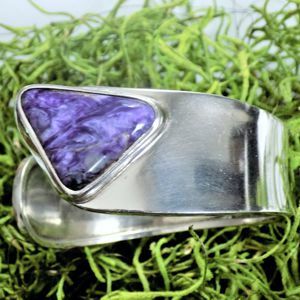 Charoite is a rare silicate mineral, first discovered around the northern part area of the Lake Baikal sometime in the 1940s. 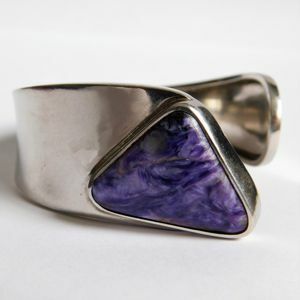 Charoite was named after the Charo River in Siberia, Russia, and is known to the western world since 1978. 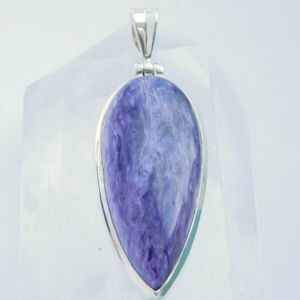 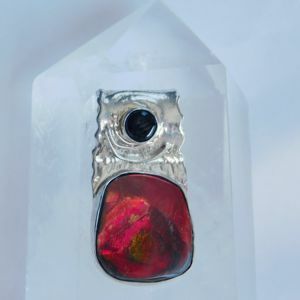 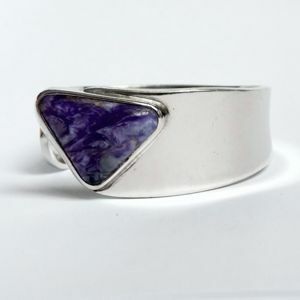 It is an incredible stone with violet swirls, allowing access to lessons learned in past lives, healing emotional fears to live in the present, and opening to spiritual guidance for the future.